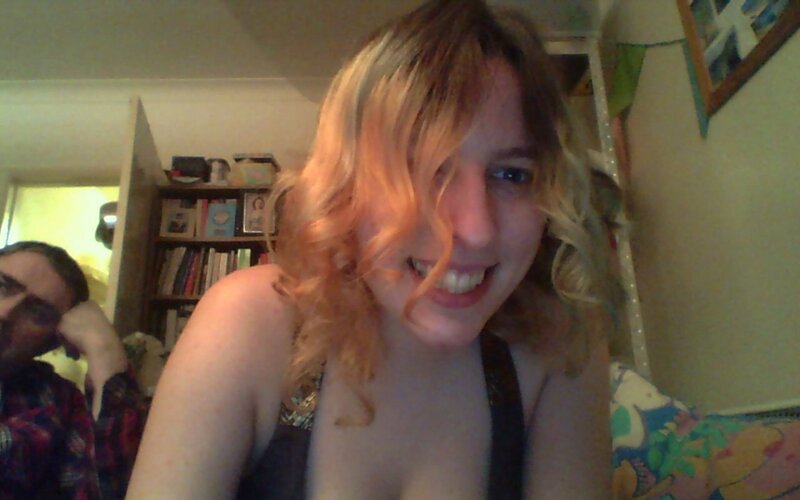 Usually curling your hair requires using a hot thing, or putting curlers in when nobody can see you. This headband curls method doesn't fry your hair and looks so cute while it's drying that I use a pretty lace hairband and quite happily wear it into the office - it's very 1920s. You put a headband over your hair, take small sections and wrap them around the band, then let your hair dry and take it off. I bought John a new blender for his birthday last year after his bit the dust after about 20 years of constant use. It came with a smoothie maker, and my freezer had loads of fruit ready to be used! My favourite frozen things so far have been: bananas, grapes, strawberries, melon, and pears (raspberries make things a bit grainy for my liking). I've been using pressed apple juice thus far (pasteurised cartons of which are surprisingly cheap in Tesco) but I think orange might be fun, too. Ysolda Teague is one of my favourite knitting pattern designers ever. I've always liked this pattern, because a) I quite like birds, and b) this style of cardigan really suits my figure. So I've started knitting it! I have about two inches finished thus far. It's nice and repetitive without being boring. I've never knitted anything this big before, but I'm tentatively hoping to have it finished by the time I finish my PhD. I know, you guys, I've gone full Pinterest. Seriously, though, kale is yummy, and cheap, and if you get distracted while you're making breakfast and fry it for slightly too long, it goes really crunchy. In the last week I've added it to risotto, egg fried rice, stir fry, and garlic mushrooms, and they were all delicious, and an incredibly pleasing shade of green. 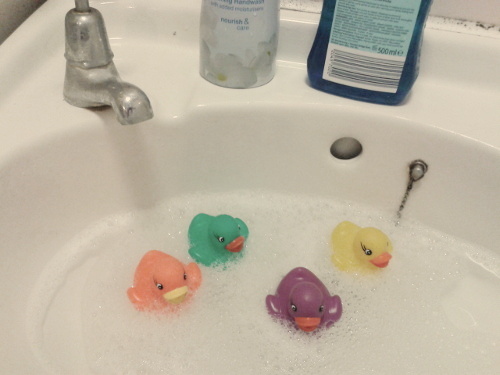 Cleaning the bathroom was boring, so I let my rubber ducks have a bubble bath in the sink while I scrubbed the tub. Previous Previous post: Remove "Picked for you" pins from Pinterest.